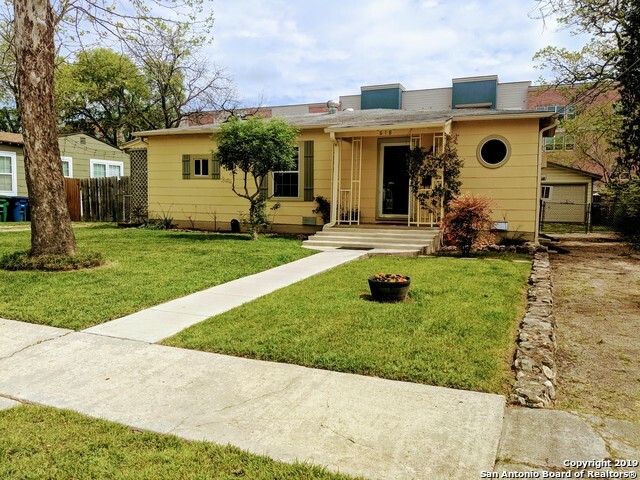 All TERRELL HEIGHTS homes currently listed for sale in San Antonio as of 04/20/2019 are shown below. You can change the search criteria at any time by pressing the 'Change Search' button below. 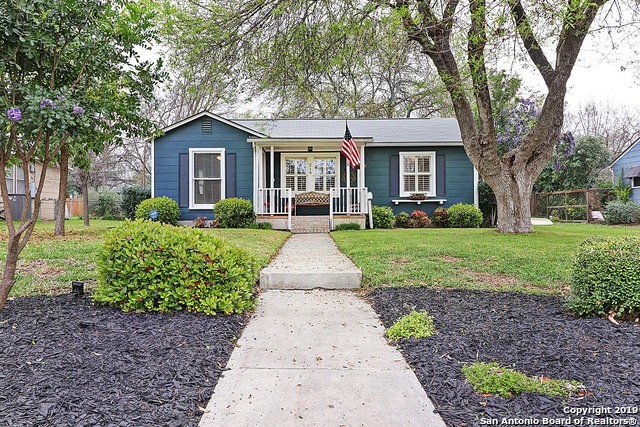 "Spacious, updated cottage in Terrell Heights AHISD. Three bedrooms, three full bath, living room, dining room and family room with doors leading to covered patio, landscaped yard, studio/workshop and in ground pool. Kitchen has adjoining laundry room, study/office and sun room that also opens to patio and yard. Master bedroom and bath with dressing room and dual closets with expansive view of yard and pools. Many upgrades with new roof 2016, rebuilt room addition and extensive landscaping." "HOME HAS BEEN REMODELED & ENLARGED. IMPROVEMENTS INCLUDE; NEW KITCHEN, UTILITY ROOM, APPLIANCES, MASTER BATHROOM, GUEST ROOM & BATH, NEW FAMILY ROOM, BEAUTIFUL HUGE BRICK FIREPLACE, & MORE. COMPLETELY REWIRED, NEW FLOORING, NEW ENERGY EFFICIENT WINDOWS, NEW ROOF, NEW EXTERIOR WOOD SIDING, & INT/EXT PAINT. WONDERFUL FAMILY HOME W/ LARGE DINING AREA & EXPANSIVE LIVING AREAS. LARGE FRONT PORCH. PATIO PAVERS INVITE OUTDOOR LIVING. BEAUTIFUL, ENORMOUS OAK TREE SHADES LARGE FRONT YARD. DETACHED 2 "
"Open floor plan with extensive updates + custom touches on EXTRA DEEP lot. Split Master with dual closets. Detached carport -- built to accommodate future apartment addition above -- conceals Multiple Storage Areas behind. Refinished Original Wood + Travertine floors; Professional Appliance Suite w/ Gas Range. Entertain in style: Granite overhangs w/ seating for up to 12 + built-in Buffet. Move-In Ready; priced for quick sale; 1 block from charming city park. THIS IS THE HOME YOU HAVE BEEN LOOKI"
"Updated Terrell Heights charmer. 3 bedroom, 3 bath large master suite split. Dual vanities, granite counter tops, walk in closet, outside access. Workout room off master would make great nursery or study. updated island kitchen." "Beautiful home located on a large corner lot with huge pool. Recent upgrades include granite countertops, new appliances, and new fixtures. Oversized backyard for entertaining with completed new deck and built-in fire pit. Bring your family to view. Move-in ready." "CHARMING HOME IN THE HEART OF TERRELL HEIGHTS. 303 Brees is the perfect home to enjoy all that 78209 has to offer! Home sits on a corner lot with a wonderful garden to enjoy & spacious back yard for play & entertaining. Great family home with 3 beds/2 baths and 2 living areas. Kitchen & baths have been tastefully updated. Don't miss the 2 car garage & 2 car carport. AHISD schools!" "Close to medical ctr & Fort Sam. Updated home! Lushly landscaped yard. Charming front porch & recently added back patio. Spacious garage for projects plus attached carport for parking. This wonderful home exudes class w/ abundant light, wood floors, custom wood blinds, granite kitchen, gas cooking,ceiling fans & pretty master bath. 2 BRS & 2 BA plus 2 LAs on main floor. Upstairs BR 3 currently used as TV rm. Recent roof, gutters, exterior paint, interior paint,& landscaping. 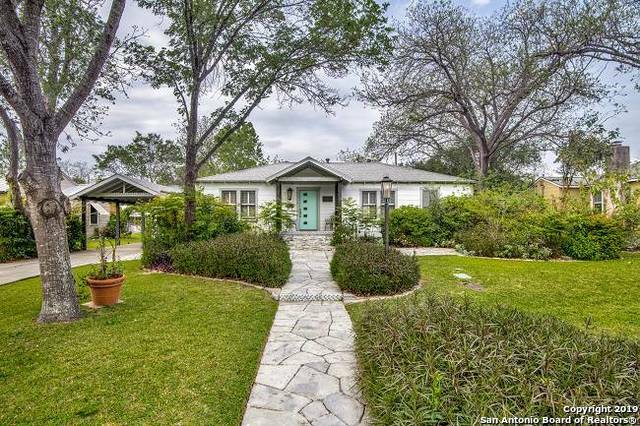 Alamo Heights school"
"Curb appeal greets you as you approach this immaculate bungalow within Alamo Heights ISD. Original wood floors gleam with ageless character and patina. Large open spaces in the main living of the home, updated kitchen with granite countertops, tasteful and gracious color palette used throughout the home highlight its natural character. The large master features an updated ensuite master bath showcasing gleaming chocolate marble surfaces. 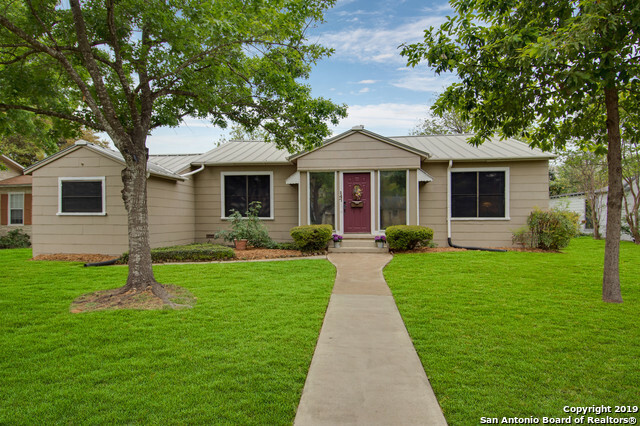 Carpets recently replaced, oversized garage, spacious outd"
"This beautiful home in desirable Alamo Heights school District! 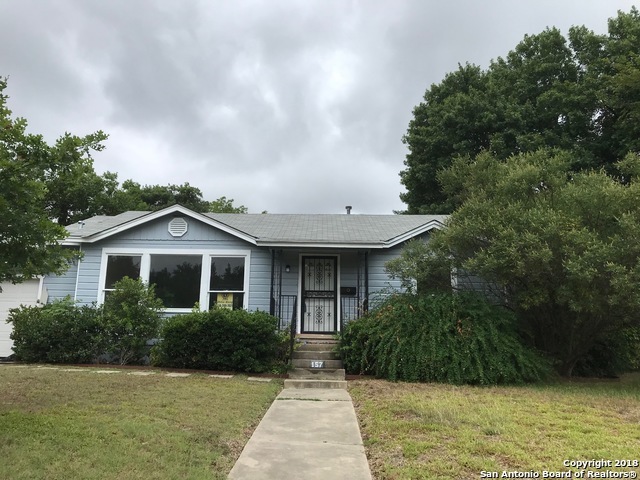 recently remodeled with all new kitchen appliances, cabinet ,quartz counter tops, tile back splash, bathrooms, ceiling fans, fresh paint, new light & plumbing fixtures and new engineer wood floors have been modernized. Seller is highly motivated willing to entertain any and all offers. open house 1:00 PM-3:00 PM ON SUNDAY OCT 21." 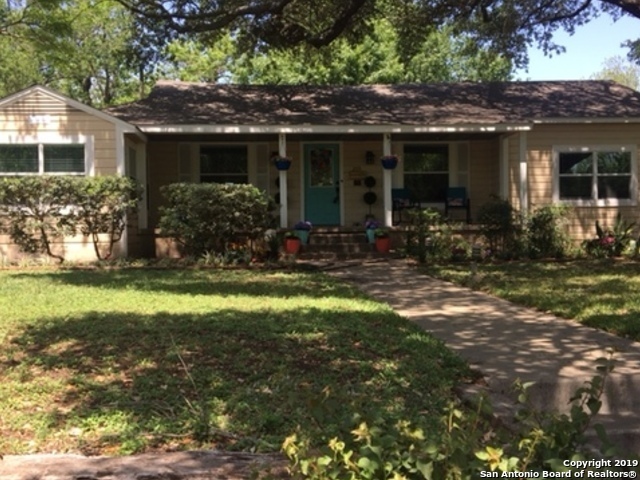 "1947 traditional well maintained Terrell Heights home, expanded to 2167 sqft over the last 60 years. The home has great potential to renovate or remodel. It features 2 living areas, 4 bedrooms/3 bathrooms, along with many original architectural features and hardwood floor. A large detached bonus room (office, workout space or shop) is attached to the rear entry 1 car garage & 1 carport. Well cared for private backyard with mature orange and grapefruit trees. AHISD"
"Gorgeously renovated, this AHISD cottage in Terrell Heights on a gargantuan lot with all the creature comforts. Gleaming original hardwoods and period charm throughout-with oversized master bath that includes 2 vanities. Expansive layout with soothing neutral tones and maximized through removal of interior walls to create a more inviting living and entertaining space. Terrific location close to Austin Hwy, affording walking distance to restaurants and shopping." 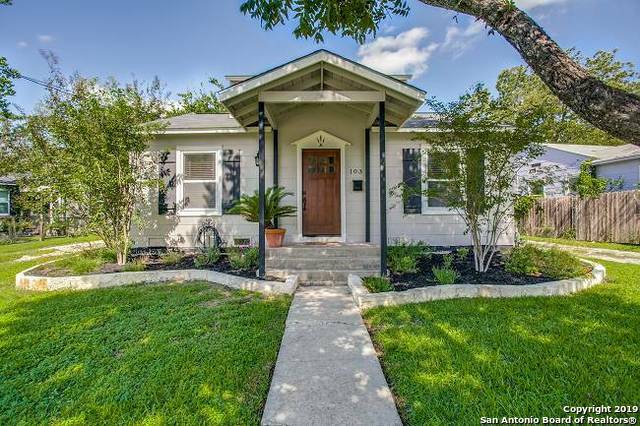 "ALAMO HEIGHTS home ready for you! 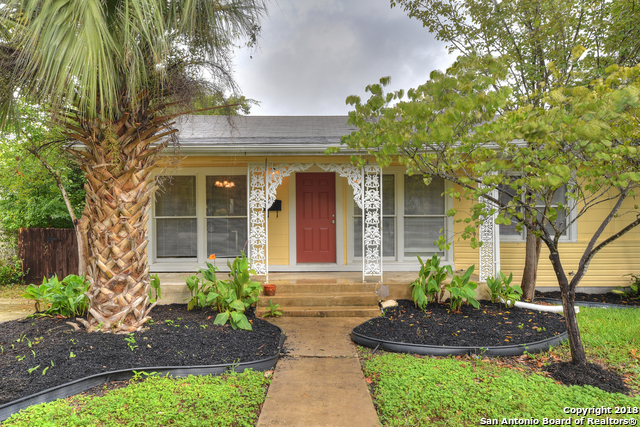 This cute home is conveniently located just minutes away from Broadway, The McNay, and UIW! 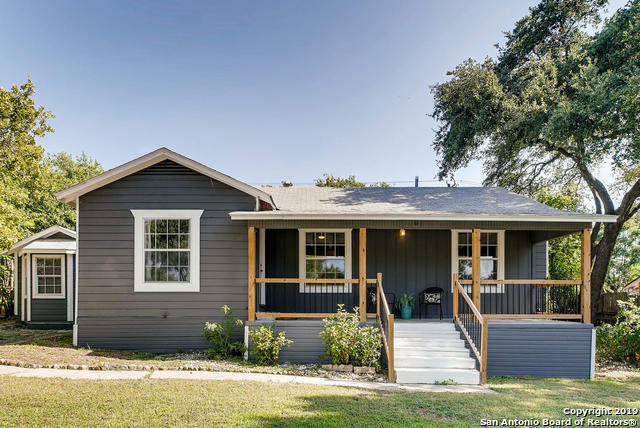 Home features a recently replaced roof, stained original hardwood floors, updated kitchen, flex space that can be used as a 4th bedroom or office,mature trees, covered front porch and backyard patio which highlight this .28 acre property in the Alamo Heights School District. **MOTIVATED SELLER BRING US AN OFFER**"
"Single story 2 bed/2bath townhome located in desirable Alamo Heights/AHISD. The spacious corner lot on a quiet cul-de-sac boasts beautiful mature oak trees. No HOA! The flowing floor plan & built-in buffet are perfect for entertaining & the high ceilings create an airy feeling throughout. The open kitchen with granite counters leads into the large family room featuring plenty of natural light, while a second living area offers a cozy fireplace. Don't miss out on this stunning home!" "*This is a cash only sale* Large four bedroom in desired Terrell Heights, in Alamo Heights Schools! Great potential as investment! 2 living areas, and large kitchen, with 2617 square feet. Large pool and patio in back yard, with alley access. Home needs repairs, but great opportunity for someone! Seller will require a 90 day lease back after sale, and will not be accomplishing any repairs, selling as is. Great price for this square footage! All showings will be accomplished thru listing "
"In the heart of the city, fantastic location 2 blocks from the McNay Museum! In Alamo Heights ISD, close to the best shops, dining and entertainment. Beautiful details, original hardwood floors, cozy floor plan and room to expand. If your clients want to be centrally located and a quick drive to the pearl and quarry with great schools then they will not want to miss this home."